In September 2014, the Competence Center Cultural Heritage Digitization scanned the Pergamon Altar in Berlin. The 3D scanning project was implemented in cooperation with the Antiquities Collection of the Berlin State Museums (Antikensammlung der Staatliche Museen zu Berlin) and was supported by the German Federal Government Commissioner for Culture and the Media (Beauftragte der Bundesregierung für Kultur und Medien, BKM). The result is an elaborated 3D model of the more than 2000-year-old Hellenistic altar. Now the masterpiece of Ancient Greece is at least accessible online, while the exhibition hall is closed until 2019 due to renovation. Since 2013, the Pergamonmuseum is being modernized as part of the Master plan Museumsinsel. The room with the Pergamon Altar has been closed for works since November 2014. 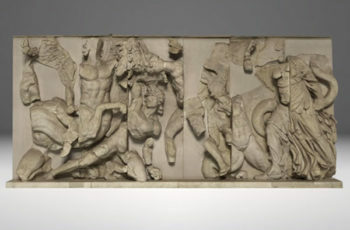 The Pergamon Altar’s 3D model is available to the public via an online viewer and the entire architectural ensemble can be examined in detail. This virtual representation also offers information on the iconographic program. The 3D model thereby creates access to the currently inaccessible original. The aim of M3D is to examine the entire process chain from mobile 3D acquisition to 3D print in the industrial field. The vast potential of location-independent mobile devices and the so-called “cloud” is analyzed and technologies be optimized. Using the example of components and workpieces in industrial applications, their potential are dissected conceptually and technologically and tested in form of prototypes. CultLab3D contributes to the project by developing the mobile acquisition and reconstruction in 3D (WP3) as well as by modelling data for the additive production (WP5). In cooperation with the Getty Research Institute in Los Angeles, the Competence Center for Cultural Heritage Digitization captured the entire interior of the Philharmonic Concert Hall in Berlin. The first step was to create a detailed 3D model which was then turned into a realistic 3D print. This was on view at the exhibition Berlin/ Los Angeles: Space for Music in summer 2017. For more information visit Getty Around the World. 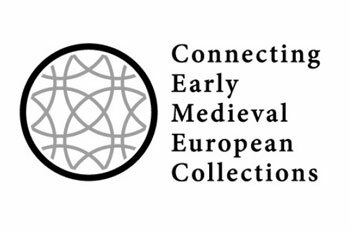 The EC funded project CEMEC is a network between nine European museum collections, six technical partners and further research institutions in order to examine both the connections between Early Medieval collection objects (300-1000 AD) and the objects’ regions of origin with the aid of innovative IT solutions. 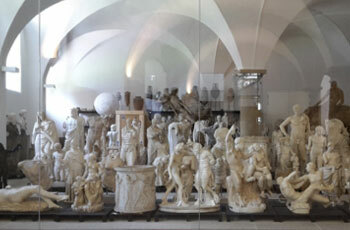 CultLab3D provides digitization technologies to help digitize museum artefacts from different collections in 3D. In the process, the objects’ geometry and texture as well as optical material properties are captured. The 3D models are available for the virtual exhibition concept planned in the project. As part of the board project, 16 Fraunhofer institutes develop new preservation and digitization concepts for cultural heritage in Saxony. Fraunhofer IGD and Fraunhofer IBMT are responsible for coordinating the sub-project »novel digital 3D material and damage analysis«. It combines novel technologies developed by Fraunhofer for the first time in order to create consolidated 3D models from surface and volumetric scanning data. This allows for improved monitoring and sound damage analysis of sculptures. A web-based visualization offers new ways of presenting objects virtually for documentation, research, and education. Fraunhofer innovations for cultural heritage is a pilot project of the Research Alliance Cultural Heritage and is funded by the president of the Fraunhofer-Gesellschaft until 2018. Partners are the Staatlichen Kunstsammlungen Dresden (Dresden State Art Collections) and the Sächsischen Landesbibliothek, Staats- und Universitätsbibliothek Dresden (Saxon State and University Library Dresden) and further Saxon institutions. 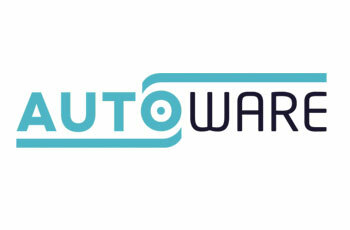 In the EU project AUTOWARE, Fraunhofer IGD works together with the company SMC Pneumatik GmbH on solutions for human-robot interaction (MRI). Aim is to support persons in their changing assembly activities with an MRI approach, based on individual customer requirements. The developments are for customers, especially from the automotive and aerospace industry. In the context of the project “Digital World Views Online: 3D Models of Historic Globes”, the Competence Center for Cultural Heritage Digitization is developing a robot arm scanner to capture historic globes which are stored in the archives of the Friedrich Schiller University of Jena and the Anna Amalia Library. Digitizing them in 3D and in color allows interested parties free access as the digital data of the 800 years old world maps will be presented online. Further partners are the University and State Library of Thuringia (ThULB), the Fraunhofer Institute for Applied Optics and Precision Engineering IOF in Jena and the Museum Association of Thuringia. The project is funded by the European Regional Development Fund (ERDF), the Free State of Thuringia and the Friedrich Schiller University Jena (FSU) from 2017 to 2019. The “Initial Training Network for Digital Cultural Heritage: Projecting our Past to the Future” was the first and one of the largest Marie Curie fellowship projects in the area of e-documentation / e-preservation in the cultural heritage field. It was funded by the European Union under the FP7 PEOPLE research framework. 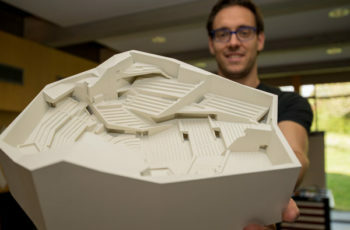 A researcher of CultLab3D participated in the project. 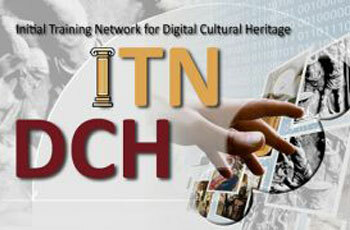 ITN-DCH aimed – for the first time worldwide – to analyze, design, research, develop and validate an innovative multi-disciplinary and inter-sectorial research-training framework. It covered the entire lifecycle of digital cultural heritage research such as preservation, documentation, protection and presentation. The 3D maritim forum is a unique pool of specialized IT companies, research institutions and users driving the application of 3D in the maritime industry. 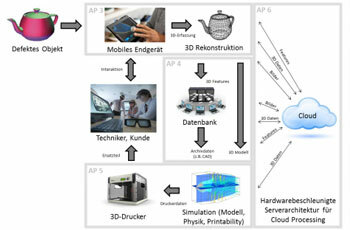 The complementary expertise of the forum members covers all issues required for various application scenarios: 3D reconstruction, semantic enrichment of 3D data, Virtual and Augmented Reality, man-machine communication and computer vision. Increasing security at sea and protecting the environment are typical challenges, in which 3D solutions can make a significant difference. 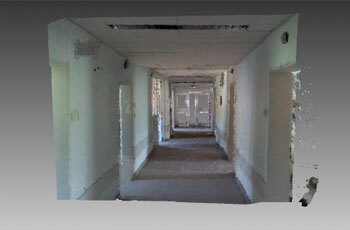 CultLab3D provides solutions for 3D acquisition and reconstruction. The aim is to develop real-time visualizations and image processing, which provide security for future constructions, guide maintenance works and repairs or direct captains. 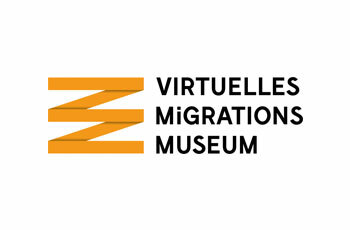 In the context of the project, the Competence Center for Cultural Heritage Digitization scanned unique objects from the DOMiD collection – Documentation Center and Museum on Migration in Germany e.V. The 3D models are for the Virtual Migration Museum – an innovative format to present the history of immigration in Germany to a broad public. The digital space allows visitors to experience what migration means and how it affects society. One can walk through animated street scenes, enter buildings and experience stories of immigrants via 3D objects. The RessourceApp project determines and exploits the resource efficiency potential when dismantling infrastructure and a variety of architectural objects. To achieve this, the object-specific raw material inventory of buildings is measured, thereby minimalizing the risk for demolition companies and property owners. The task of Fraunhofer IGD consists in the 3D reconstruction of the collected sensory data and the automated identification of relevant objects. These steps are necessary for producing the resource estimate, for which the respective construction standards are drawn on in order to define the quantity and type of built-in materials with the greatest level of accuracy. 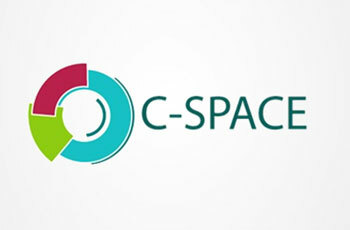 The research project c-Space aims at establishing Augmented Reality (AR) software for tablets and smartphones as well as for micro projection technologies to introduce them to a larger audience. The user’s own creativity is unleashed through the use and implementation of 4D content. Simultaneously, the 3D reconstruction of real scenarios throughout time (4D), functioning as ‘virtual stage’, is reconstructed. The c-Space scenario paths the way for the future: to provide 3D reconstructions of dynamic scenes and surroundings. They are in high-resolution and are based on real-time video streams available for spontaneous and simultaneous use without restrictions of the hardware setup and the environmental conditions. According to this vision, video streams are used to create loss-free, high-quality and extremely detailed AR-backdrops of the user’s close surroundings. This produces both realistic experiences of the virtual environment as well as the close connection of the real and the virtual word.